Some believe certain people are born leaders. Others think an individual can learn to be a leader. Regardless of how you may feel you obtained your leadership skills, there are always ways to enhance your abilities. 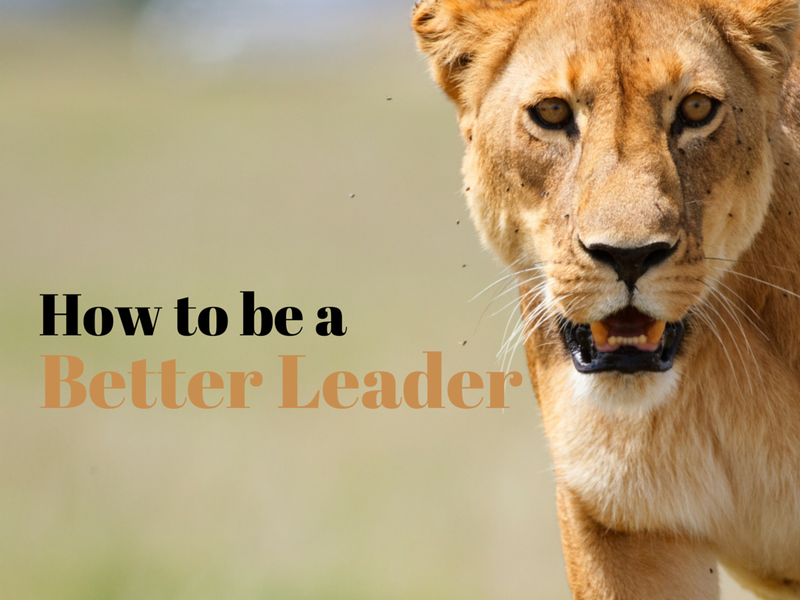 The following is a list of suggestions that may inspire you to reevaluate your leadership abilities and address any issues you feel need improvement. As a leader, your actions set the tone for what is appropriate behavior in the workplace. Exhibit actions that you want your team to emulate. You may establish rules of conduct or have expectations on how staff should be behaving at work and what actions will not be tolerated. The best way to encourage these specific actions is to correctly and precisely demonstrate these behaviors yourself. Share the credit for successful projects with your team. If you make a mistake, readily admit to your error. Apologize when needed and admit when you do not have the solution to a problem. Demonstrate the willingness to seek answers from other sources. Such actions will show your human side and help you gain the respect of employees and customers alike. Plus, when you admit a mistake, this makes a safe environment for your employees to admit to their own mistakes instead of causing your company employees to enter the “blame game.” Allowing mistakes in individuals will change the entire atmosphere in your company to a more cooperative atmosphere. Seeking the advice of someone with more experience is not a sign of weakness. In fact, a good leader realizes there is always more to learn and will turn to a trusted friend or colleague for their opinion of a given issue or to receive feedback on their job performance. Business is ultimately about dealing with people. While some may say emotions have no place in the business world, wise leaders strive to become aware of the sensitivities of others. These leaders learn to acknowledge different opinions and consider background information as a method to better understand those around them. Emotions usually reveal the deeper, most important relevant points of personal interactions, and therefore, may be an important area to explore more deeply. Let your team know you are open to their ideas. Empower them to take their ideas to the next level and give positive feedback and constructive advice as warranted. Having the opportunity to present and try out their ideas can lead to greater levels of commitment, enhance problem-solving abilities and result in greater productivity. Reward such displays of creativity and view these actions as helping your staff develop their full potential. Leaders must demonstrate a commitment to the goals of the company. Show your staff how strongly you believe in the organizational goals and value their contribution to this endeavor. If you want dedicated employees, be dedicated yourself. Don’t worry about speaking passionately about something you believe in. Learn things about your employees. Find out about their families or recreational activities they enjoy. Politely ask how things are going for them. Doing so will demonstrate that you care about them as human beings and do not consider them just another name on the company payroll. Have a place where you can jot this information down so that you will not forget areas that are important to your employee. Before an interview or progress report with an employee, pull out these notes and review them and make appropriate comments to show you are thinking about them. It is easy to be positive when things are going well. However, a good leader will remain confident when things go wrong. They embrace failures and inspire their team to consider such events as opportunities to learn. Having a positive outlook will help your staff remain encouraged and create an overall upbeat environment where people will want to remain. Thinking and acting positive go hand-in-hand. Never speak slightingly of anyone in or out of your employ. Take a look at those who have previously held your position. Examine why they failed and why they succeeded. Become aware of common mistakes. Compare your leadership style to theirs. Also, take a look at your peers to compare their progress while taking variables such as location and economic factors into consideration. Your leadership style doesn’t have to be the same as a previous leader in your company or position. In fact, your leadership style shouldn’t be the same as anyone else’s. Improve your style, but stay real. Employees may become bored and dissatisfied if they are performing the same tasks and projects each day. Give your staff new challenges that are within their abilities. Provide constructive feedback as they work on new projects. Learning and mastering new challenges will give your staff a sense of accomplishment and show that you have confidence in their skills and value them as part of the organization. There are many skill learning opportunities on line that can be worked on during working hours.